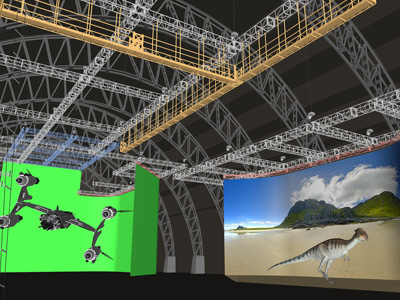 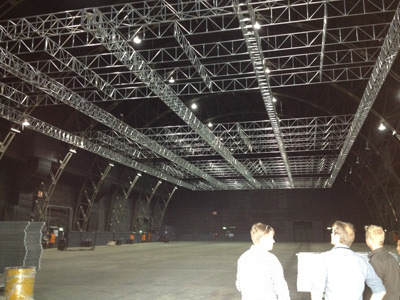 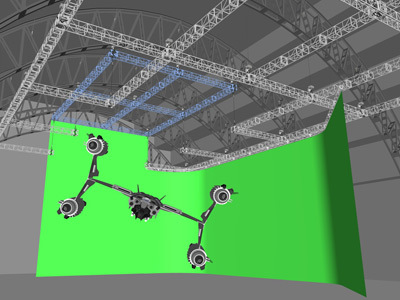 In 2012, CLS was asked by Fox Studios Sydney to supply a flexible, multi-use lighting grid that could be broken into components and easily removed from the studio if required. 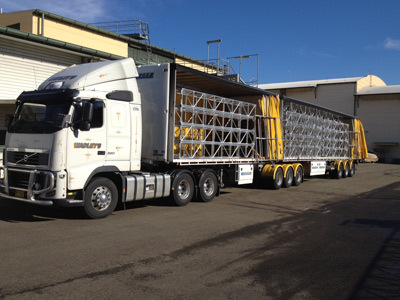 It would need to be 26M x 68.5M and capable of supporting 70 Tonne of distributed load. 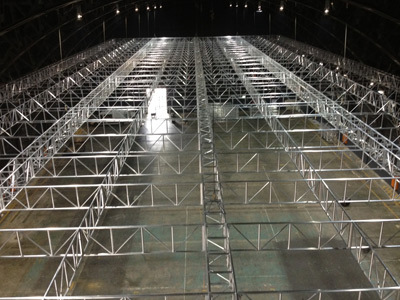 CLS designed a new larger Heavy Duty Alloy Box Truss (750 x 500mm C-C) and a unique joining method that uses a Nylon cup to make a snug fit of the hundreds of intersecting Flat Truss sections. 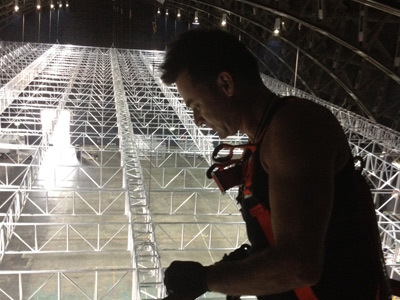 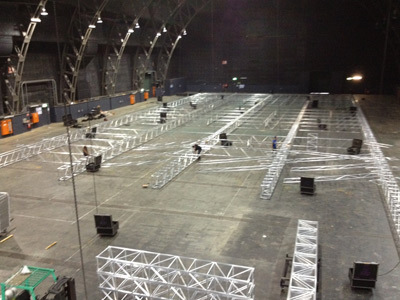 All of the trussing components were manufactured to our usual high standards at our Southbank, Victoria factory and delivered on time to Stage One at Fox Studios, Sydney for assembly and rigging.